I Was Arrested for a Probation Violation. What Now? According to Chapter 948 of the Florida Statutes, a criminal offender may be granted probation in lieu of a sentence. As part of this arrangement, the individual must maintain contact with a community supervision, parole, or probation officer and abide by certain court-ordered conditions, such as paying restitution, performing community service, or other terms. In Florida, a person can face punishment for willfully and substantially violating the terms of their probation. The consequences of a probation violation depend on a number of factors, including the nature and seriousness of the violation, whether the offender has other violations, and more. If the offender is found guilty of a probation violation, they may face jail time, fines, or extended probation. Probation violations typically occur when a person refuses, ignores, avoids, or otherwise breaks the terms and conditions of their probation during their probation period. A probation officer may issue a warning to the offender or schedule a court date for a probation violation hearing. During the hearing, a prosecutor will take into account the severity of the offense, the history of other probation violations, and other mitigating or aggregating circumstances when making a case against the offender. Accused of Violating Your Probation? Know Your Rights! If you have been accused of a probation violation, it is important that you understand your rights so that you can potentially avoid maximum penalties. Don’t face a probation violation hearing alone. 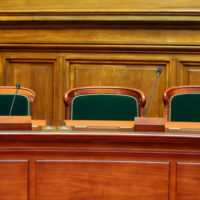 If you have received notice of an upcoming hearing regarding a violation of your probation, the first thing you should do is to get in touch with an attorney. A West Palm Beach criminal defense lawyer at Perlet & Shiner, P.A. can provide you with the experienced representation you need to potentially avoid jail time, fines, or an extension of your probation. Our top-rated firm is made up of former prosecutors who know every angle of criminal law. Backed by decades of legal experience, our trial-tested attorneys focus on providing clients with customized defense strategies for even the most complex cases. We are available 24/7, so schedule your initial case evaluation with our firm when you call 561-721-0552.